Here’s a special Extra Jam episode while we gather our thoughts about Anime Expo and San Diego Comic Con. July is super busy for us! 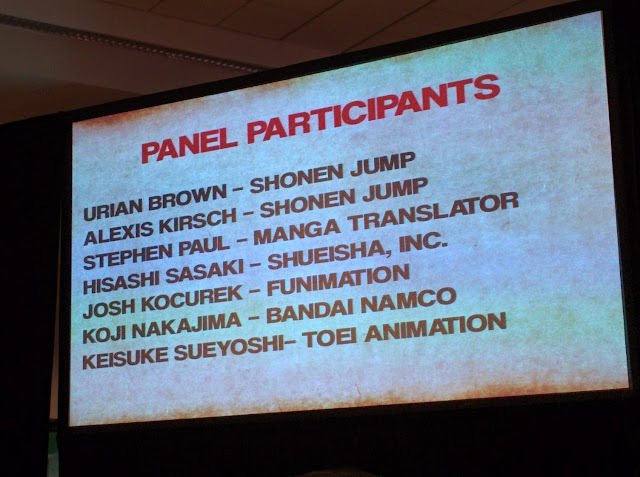 This panel was hosted by members of Viz’s Shonen Jump, featuring the manga translator along with representatives from Funimation, Toei Animation, and Bandai Namco Games. So stay for the info, and if you can stomach it, we’ve also got the Q&A recorded, too! Be sure to check the gallery below if you are listening to the MP3 Feed. This audio was provided by our friends from Shonen Jump.